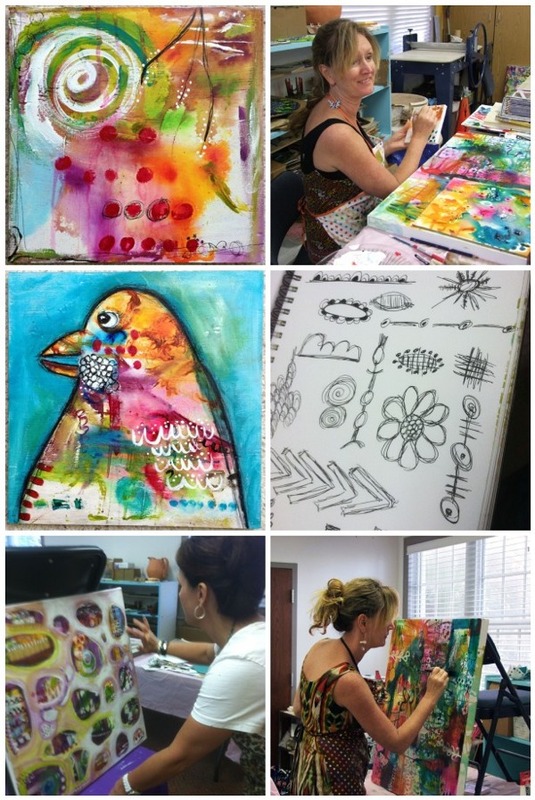 A couple of weeks ago I attended the Paint Mojo workshop with Tracy Verdugo in St. Petersburg, Florida. Tracy is a very talented artist and a kind and patient instructor and we had a great time. I have not finished my big painting but I think the two I created on wood are finished. If you get a chance to take a workshop with Tracy I highly recommend it!